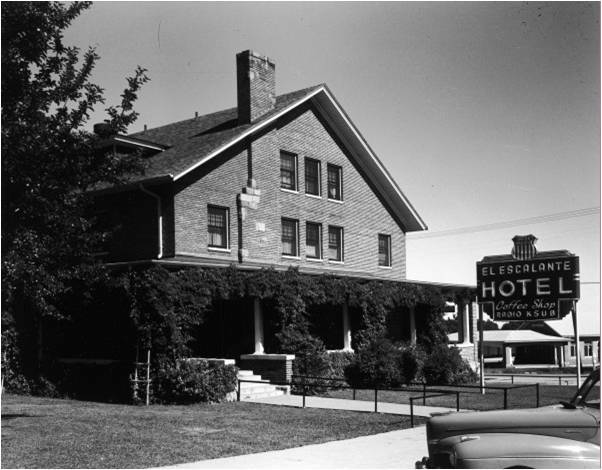 CEDAR CITY — The undeniable role Cedar City and the Utah Parks Company played in the famous “Grand Circle” tourism boom is in the spotlight this year as the nation reflects on the 100th anniversary of the National Parks Service. 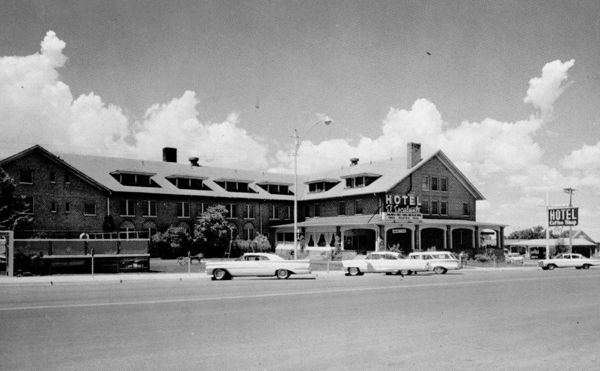 The “Gateway to the Parks,” as Cedar City became known, paved the way to some of the most disarming landscapes on the western side of the U.S. 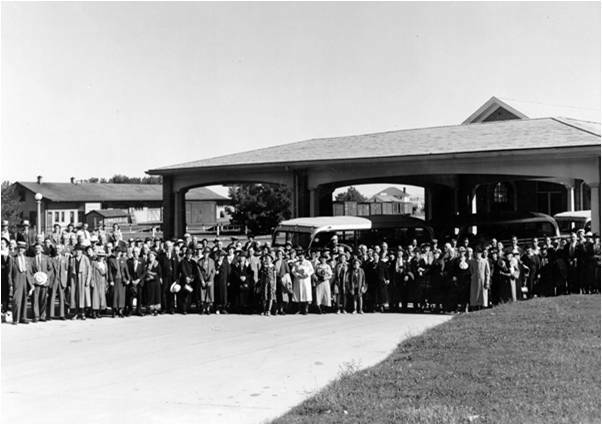 Tourists arrived in droves aboard the Union Pacific train, landing at the Cedar City Train Depot where they would prepare for grand adventures in ethereal playgrounds they had only read about in books and newspapers. “It was kind of an enchanted time,” life-long employee of the Utah Parks Company Gayle Carter said. Carter began working at Bryce Canyon Lodge straight out of high school in 1952. “We had a dance band and we had programs and we had sing-aways,” Carter said. 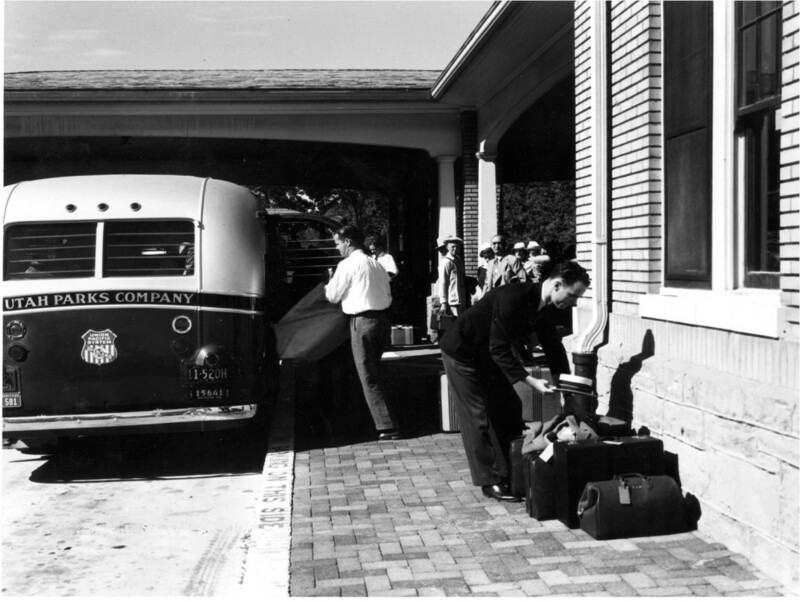 Tour buses would travel from one park to the next, and as they would depart, employees would line up and “sing away” the visitors. 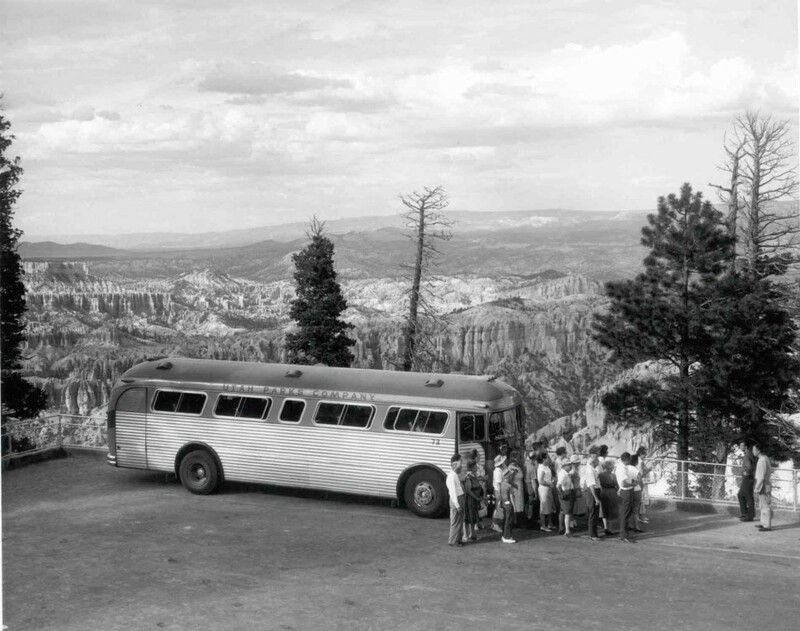 The famous Grand Circle tour left from Cedar City and would trek adventure-starved visitors from one park to the next — Zion and Bryce Canyon national parks, the Grand Canyon North Rim, Cedar Breaks National Monument and Kolob Canyon — each stop a magical backdrop for families creating memories of a lifetime. The National Park Service was born in 1916 when President Woodrow Wilson signed the Organic Act of 1916. The Parks Service was established under the Department of Interior, which was charged with the protection of the 35 national parks and monuments designated at the time and managed by the division. 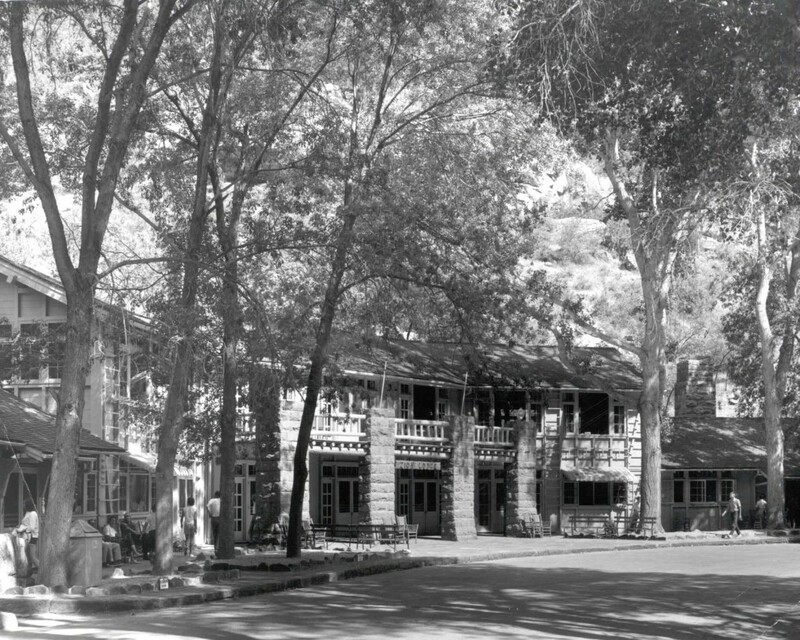 According to a press release from the Cedar City-Brian Head Tourism Bureau, by the 1920s, the “natural wonders” of Southern Utah were recognized for their tourist potential. “Two brothers from Cedar City, Gronway and Chauncey Parry, were already providing transportation and tours to tourists from Cedar City to Zion National Park and on to the Grand Canyon,” the release stated. 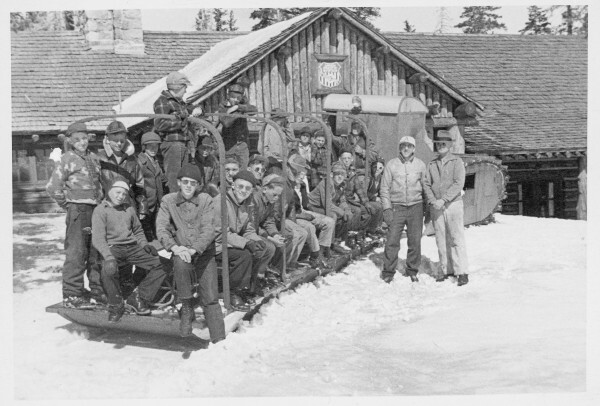 It was the National Park Service who first initiated the idea of building a large railroad organization to move people and materials to build and operate restaurants and lodges. “In those early years, you were sleeping in tent camps,” said Ryan Paul, curator of the Frontier Homestead State Park museum in Cedar City. 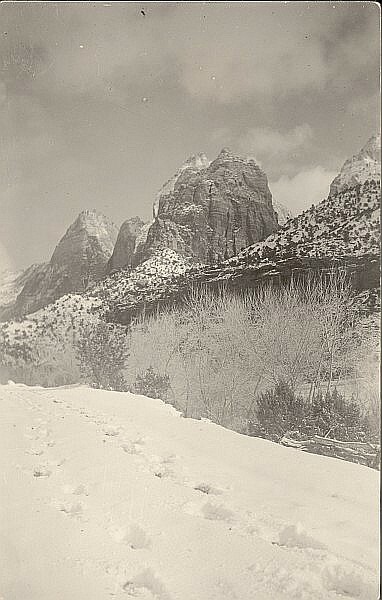 As part of his work on the “Utah Parks History Project,” Paul has spent the past decade working to gather first-hand accounts of employees who worked for the Utah Parks Company, the tourism infrastructure owned by the Union Pacific Railroad and established in 1923 to support the Grand Circle Tour in 1923. 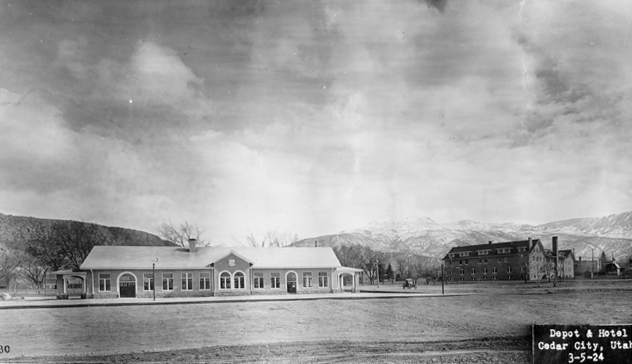 The Parks Company built massive lodges at Bryce, Zion and the Grand Canyon and constructed roads to host the fleet of vehicles visitors could reserve at the Cedar City Train Depot. There were a variety of tours available. Vehicles available for rent came complete with a driver who would take visitors on a day trip to Cedar Breaks or to Zion for a day or two. 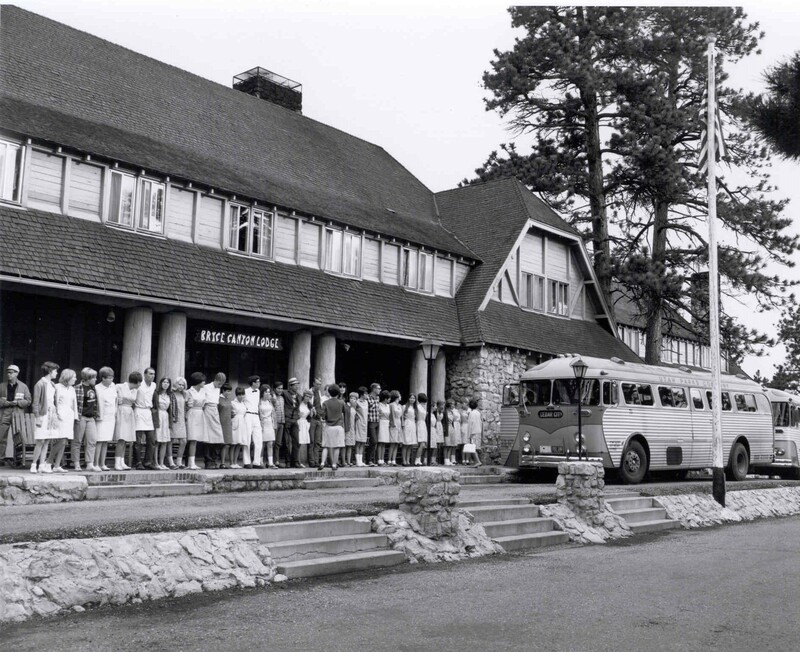 The Utah Parks Company hired students from what was then Branch Agricultural College in Cedar City as hospitality staff, entertainers and tour drivers. 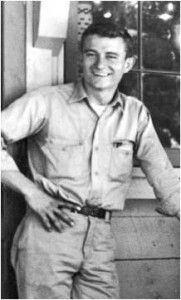 Cedar City resident Carl Croft grew up on 100 West right by the Train Depot and spent 35 years maintaining the railroads for the Utah Parks Company. Union Pacific sold Utah Parks Company to Trans World Airlines in 1973. Everything changed after that, Carter said. Tourism is alive in well in Cedar City today, said Maria Twitchell, executive director of the Cedar City, Brian Head Tourism Bureau. Tourists contribute millions of dollars in tax revenues each year that helps stimulate the economy. Cedar City Mayor Maile Wilson said the railroad opened many opportunities for commerce in the community, adding that the community continues to enjoy the railroad asset as a driving force for economic development. Good article and interesting photos, yes, photos, not ‘pics’, in this case! Thanks.